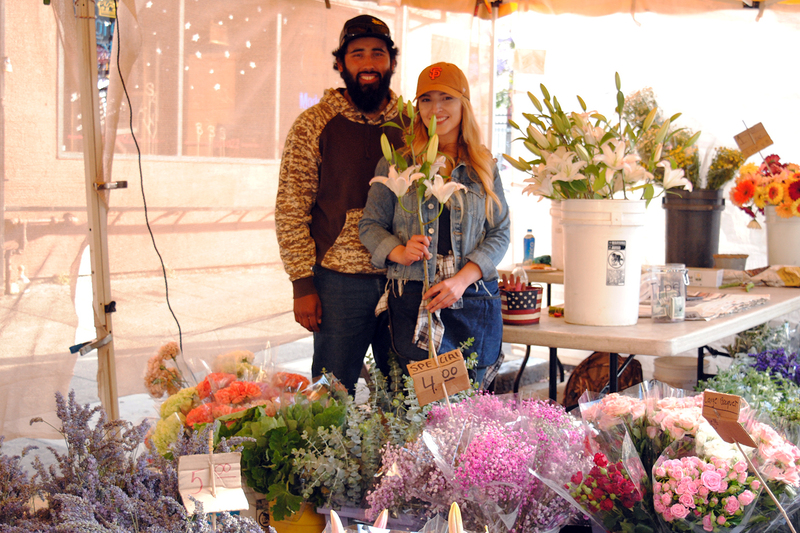 Each week, David brings his pride for the art of flower growing along with a diverse variety of seasonal blooms, grown on his farm in Monterey County, to CUESA’s Jack London Square Farmers Market and Mission Community Market. 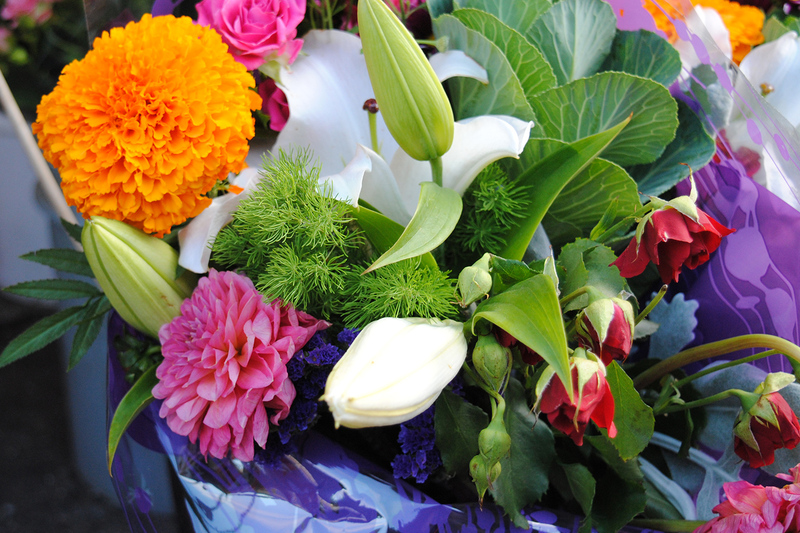 David’s career in cut flowers began more than 30 years ago, when he was 17 years old and started working part-time washing buckets at a floral wholesaler. As he gradually learned more about flowers and the process of growing and cutting them for market, he started taking charge of the wholesaler’s flower inventory and became an expert flower grower. “I started walking in the fields, breezing through each row of flowers and observing to see which ones were ready to be harvested,” says David. This was part of his daily process to familiarize himself with the world of floriculture. Several years later, David began growing his own flowers. He found that even though he enjoyed working at the floral wholesaler, he wanted to start his own operation with his family. At first, he grew flowers at home while still working at the flower wholesaler during the day. After long hours of practice and experimentation, he finally decided to grow his own flowers full-time and sell them for wholesale. A few years later, in the early 2000s, he started selling his flowers at farmers markets. 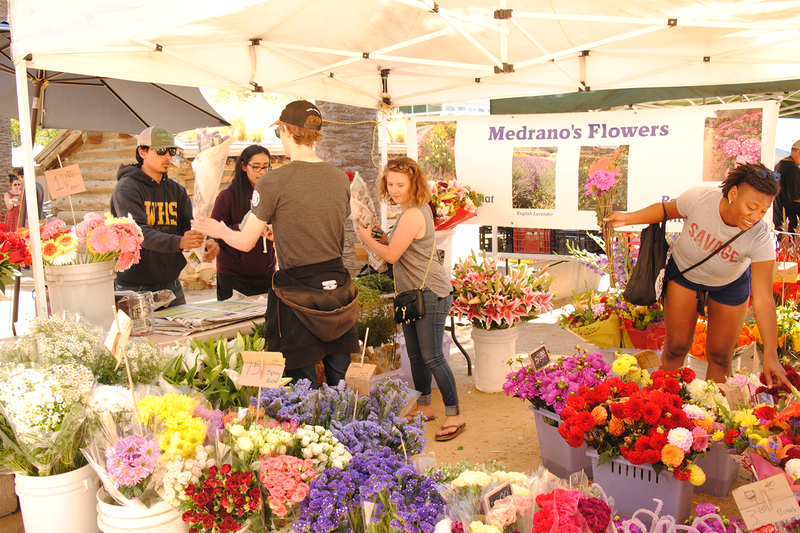 Today, Medrano’s grows more than 60 varieties of flowers. David’s wife, Rosa, and their children, Carla, Saul, and Mauricio, all work together to support the business, including floral wholesale and farmers markets. Timing is also a key part of his philosophy to sustain flower growth and variety. David and his family plan which flowers to grow for each season at least a few months in advance. “It’s all about how you manage your timing on these plants,” says David. With spring finally upon us, David is excited that he will be bringing special varieties like Canterbury bells to the farmers markets. “It’s actually one of my favorite flowers to grow,” says David. He recently brought in other varieties such as ranunculi, snapdragons, and tulips. 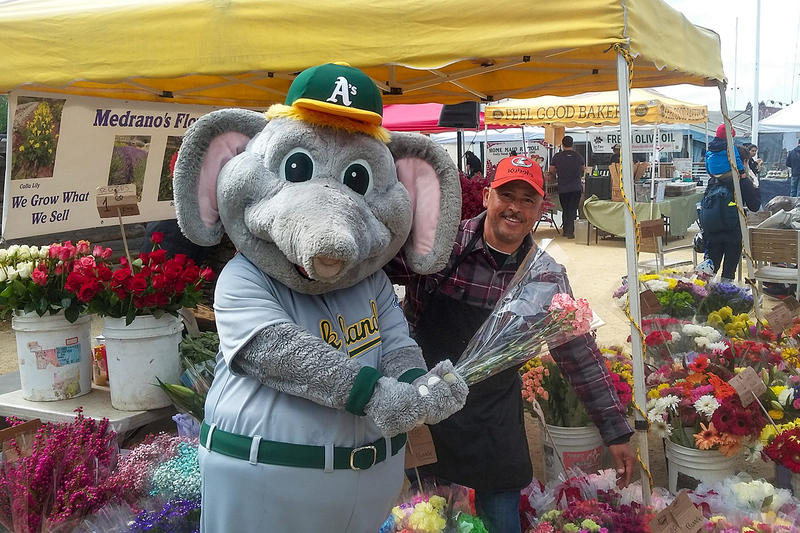 Visit Medrano’s Flowers at Jack London Square Farmers Market on Sundays and Mission Community Market on Thursdays.